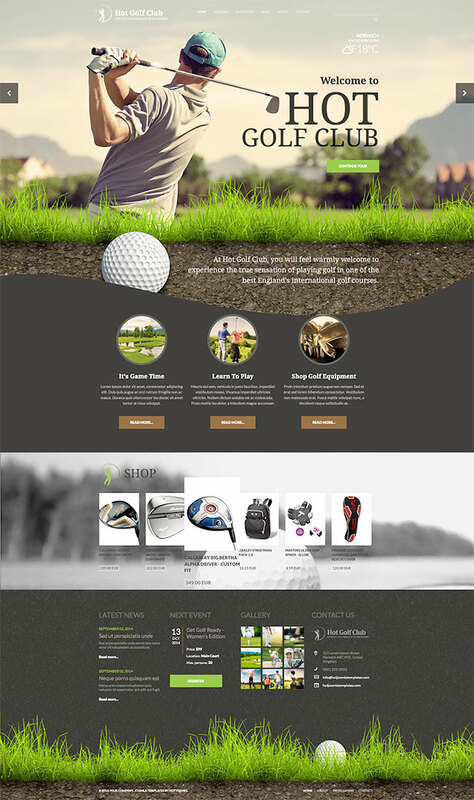 Golf template is suitable for development of websites related to golf. Golf is a very relaxing and interesting sport that's performed outside, usually in beautiful nature surroundings. Golf players use many types of clubs to hit balls into a series of holes. The main aim of this sport is to hit the hole using the fewest number of strokes. Therefore, beside of skills, players sometimes need to be lucky. Video clips of unbelievable hits from long distances can be found online and they also promote this sport. However, the best promotion for this sport are wonderful images of nature where golf terrains are usually located. However, golf is a very expensive sport and this is the biggest disadvantage of this beautiful game. An affordable variant of this sport is called mini golf. Terrains for mini golf are available in many public parks throughout the world. 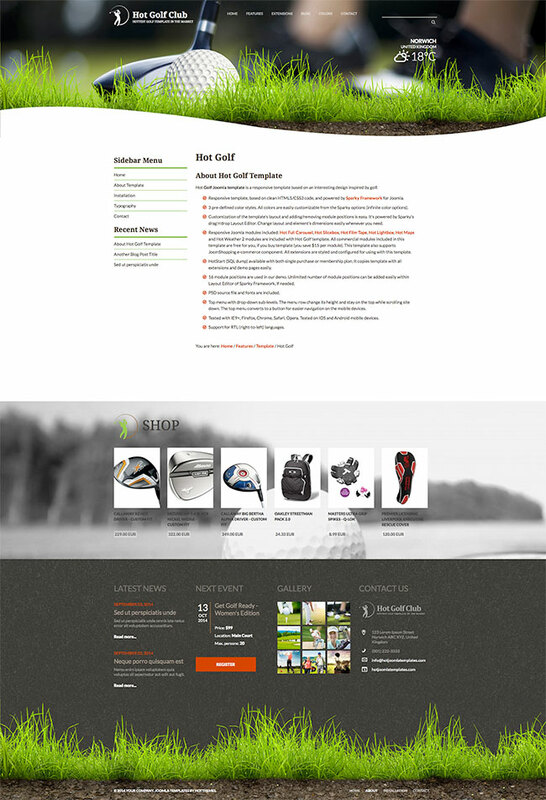 Hot Golf is a responsive golf template based on an interesting design inspired by golf. Lead by modern principles of responsive web design, we tried to use all available screen space on higher resolutions and to keep things simple in lower resolutions (for mobiles). In this template, we included several popular modules from our collection for various purposes. Also, this template has support for JoomShopping e-commerce component. 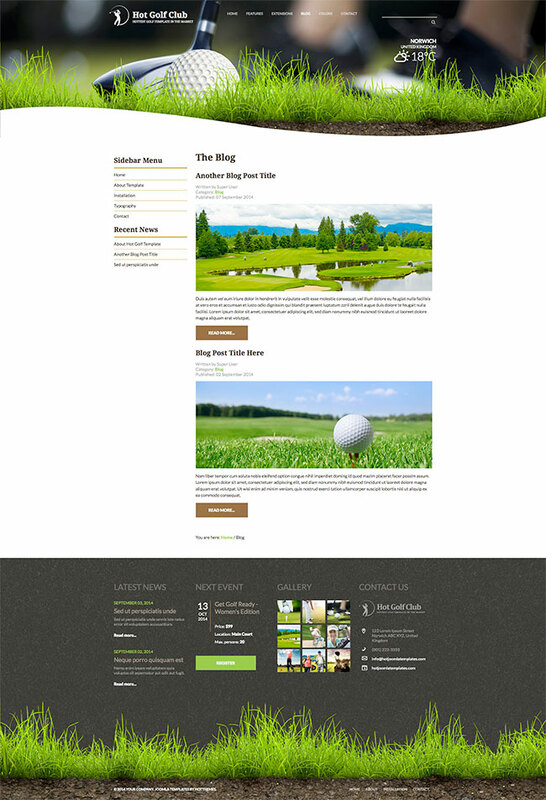 Finally, beside golf template presented here, we will mention that WordPress Golf theme is also available, if you prefer this platform. 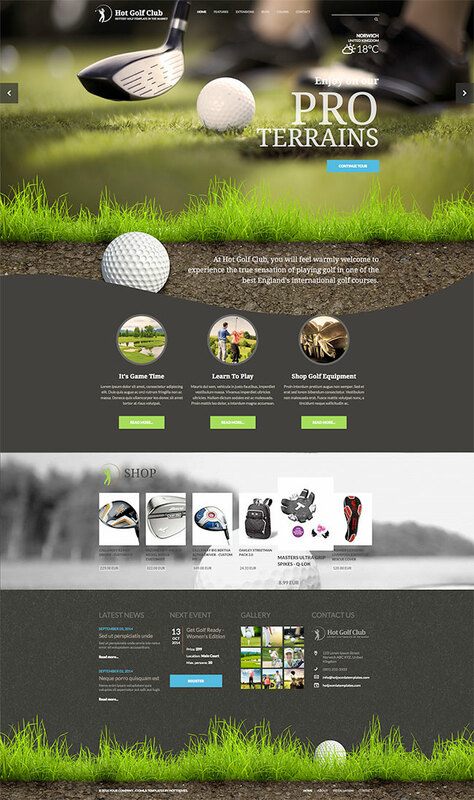 Responsive Joomla modules included: Hot Full Carousel, Hot Slicebox, Hot Film Tape, Hot Lightbox, Hot Maps and Hot Weather 2 modules are included with Hot Golf template. All commercial modules included in this template are free for you, if you buy template (you save $15 per module). This template also supports JoomShopping e-commerce component. All extensions are styled and configured for using with this template. Tested with IE9+, Firefox, Chrome, Safari, Opera. Tested on iOS and Android mobile devices.